When I purchased my first house, I could not wait to start planting. I was about 26 years old and bought a small, three bedroom on a small lot. There was no landscaping, and with an agronomic background I started planning right away. I added a bed with shrubs and a pink Dogwood to the front. The beds extended down both sides of the driveway and there was a small bed around the mailbox with a purple Clematis climbing up the post. I planted several trees in the yard including a Maple, a Spruce, a Crabapple, a Blackgum, and a Redbud. This was just the start. On the side of the house I installed another bed and planted strawberry plants throughout. I have always preferred the flavor of garden strawberries to those bought in the store. Then I built a raised garden in the back yard with a variety of vegetables. I tended to the garden the best I could, but did not have much success. When I was a child I helped in my grandmother’s huge garden, and she always had more veggies than we could eat. I did not understand what I was doing wrong. We moved around quite a bit after meeting my wife and moving out of the little three bedroom. We never had the time or space for a garden until moving into our current house on 10 acres. Now I was ready to do it right. I plotted out 2,000 square feet and installed a fence all around it to keep out the critters. For the last several years we have spent hours a day working in the garden from March through September. The garden has served as the primary project for our family during these months. It has been fun and provided plenty of exercise. It has also provided our main food source. We still hunt and fish for protein, but vegetables are on every plate. We started preserving our veggies by canning and drying them. We now have enough food stored that we would be fine for months without a grocery store. However, there is another way that you can prep using your garden. 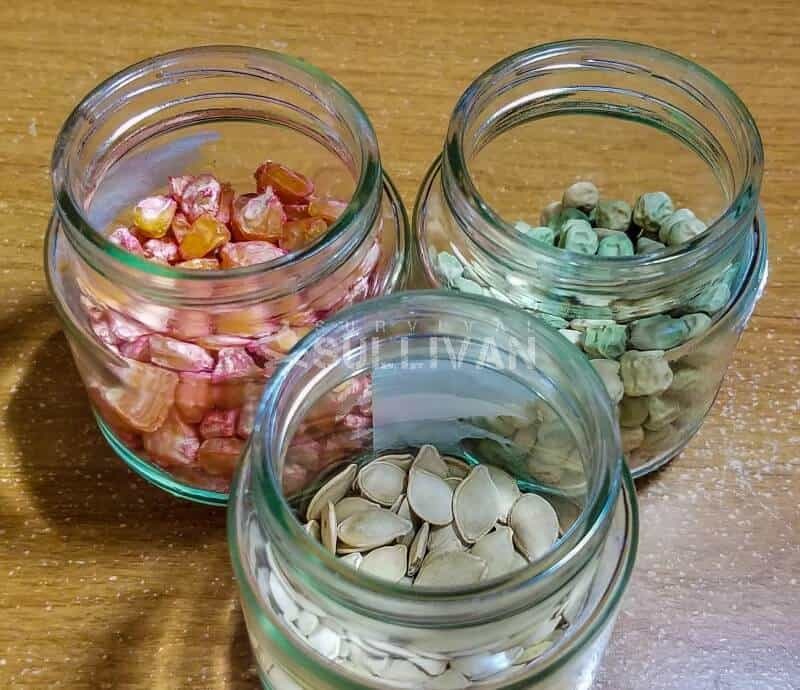 Seed storage is the practice of saving and storing seeds from your vegetables at the end of the growing season. This serves a few purposes. It allows you to continue your garden into the next year without buying more seeds. It allows you to share seeds with friends and family to encourage them to prep as well. 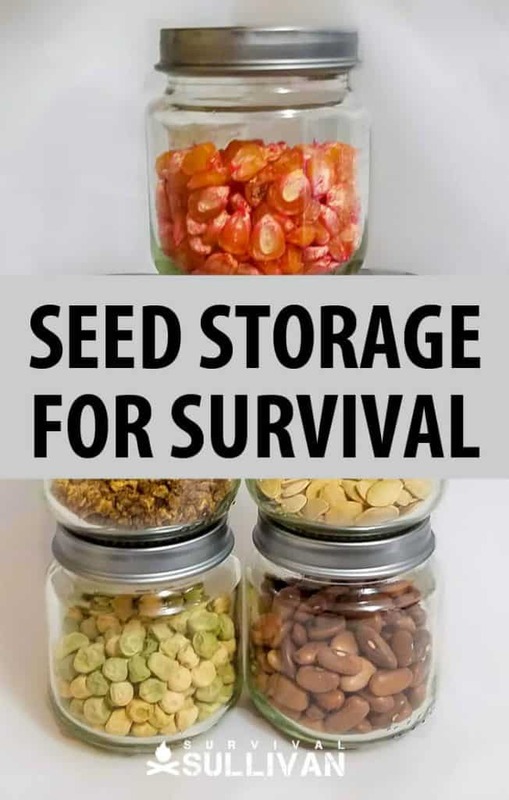 You can also create a seed bank. This collection of seeds is designed to provide a variety of food sources preserved for an uncertain future. If we have an economic collapse or farming is drastically affected by climate change, these seeds would allow you to start over. First and foremost, you will have to make some adjustments to your garden before you can start saving your seeds. Your garden will need to be completely comprised of open-pollinated, non-hybridized, non-GMO seeds. This is because seeds that have been modified by the companies that sell them are designed to only be good for one season. These companies design the plants so that the first generation seeds will not germinate. This forces consumers to buy new seeds every year. However, if you use open-pollinated, heirloom seeds you will not have this problem. In order to start saving your seeds, you will have to make adjustments one year in advance. When you hit the store or web to purchase your seeds in the spring, be sure to pick up only heirloom seeds. Then you will actually have a viable product to save at the end of the season. For your first season you will either have to purchase seeds from a commercial grower or have friends that can donate heirloom seeds to your garden. There are plenty of reputable online companies that can provide quality heirloom seeds for survival purposes. You might also want to consider a prepackaged seed bank that provides a variety of these seeds. 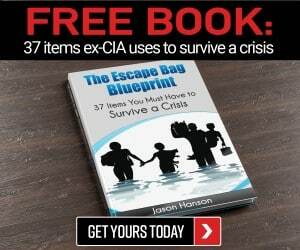 Sometimes this is the most cost effective way to get what you need. You should select which seeds to save based on two factors. The obvious one is to choose based on the fruits and vegetables that you are most likely to eat. There is no point in producing food that will go to waste. You also should start with the seeds that are easiest with which to work. These are going to be self-pollinated seeds. Self-pollinated seeds are by far the easiest to store and grow. These include beans, tomatoes, peas, lettuce, chicory, and endive. Self-pollinated seeds are the easiest to work with because they do not have to be pollinated by another plant. The plant fertilizes itself with pollen from the flower moving to the stamen. This also eliminates the risk of cross-pollination or accidental hybridization. You should get exactly the same product year after year with these seeds. Wind and insect pollinated seeds are not so simple. They require a little more effort from the grower to keep the product pure. These plants can accidentally be pollinated by other plants located up to a mile away. This can create accidental hybridization that can ruin your veggies or fruit. The grower can either hand-pollinate the plants to prevent these issues, or they can create distance or barriers to prevent hybridization. Plants such as squash, radish, spinach, corn, and cucumber will produce seeds the same year if precautions are taken. Where things get really complicated is when you get into biennial vegetables. These veggies do not produce a viable seed until the year after their first growing season. That means that you must overwinter the plants to ensure that they are still thriving the second year. Plants in this category include carrots, onions, cabbage, beets, leeks, celery, swiss chard, and turnips. For root vegetable in this category you cannot harvest the first year at all, so it takes some planning. Different types of seeds will last different lengths of time. For best storage you want to dry any seed down to less than 7% moisture and then keep it frozen in temperatures below 0 F. The lower the temperature, the longer the seed will last. Some will last over ten years, while others need to be used right away. For example, radishes must be used within a year. Peas, corn, and tomatoes typically last about three to five years. These are called Orthodox seeds. There are groups of seeds that must be planted quickly called intermediate and recalcitrant seeds. Recalcitrant seeds are tropical and include coconut, tea, and mangoes. They must be planted immediately. Intermediate seeds can be partially dried to save for a few months, but are not ideal for seed banks. These would include coffee and papayas. Be sure to store them in proper containers to maximize their shelf life. Many of us practice food rotation with our food storage. This means that we date our frozen foods and our canned goods and always use the oldest food first to keep from wasting any of it. This same principle must apply to seed banks. If you assume that the average seed will last four years properly frozen, then you can store seeds from four years of harvest. Then you need to plant the oldest seeds and save the rest. By annually planting your oldest seeds and bringing in a brand new batch, you ensure that your seeds will last as long as possible if you are forced to rely upon your seed bank. Remember that keeping the seeds frozen at a low temperature is paramount to maintaining their viability. If you are in a situation where power is limited, you must find a way to keep your seeds frozen. If you have a generator, using your power for this purpose is a good idea. If you do not have a consistent source of power, you have three options. You can either you’re your seeds to another location with a working freezer, you can trade them for other goods, or you can plant them. If you want to take your gardening efforts to the next level, seed storage for a seed bank is a great step. 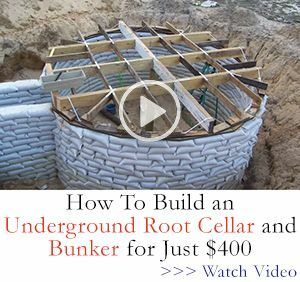 It takes lots of planning and a little bit of extra effort, but can make a huge difference with your SHTF strategy. Not only do you learn more about agronomics and save money on seeds, but you give yourself the opportunity to start a small scale vegetable farm if the situation requires it. 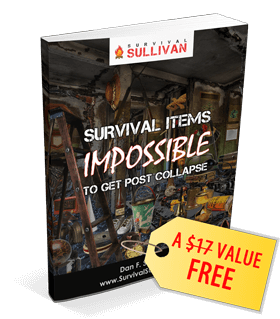 Imagine if everything falls apart, yet you have the supplies to turn your whole property into a vegetable garden. Not only could you easily feed your family, but you would have plenty of supplies to can, dry, or freeze. You would also be able to trade your goods with others in the area to help improve your overall supplies. I hope we have given you enough reasons to do more research and decide if a seed bank is right for you.